2011 is the 40th anniversary of our favourite local music store, Jumbo Records, which is quite an achievement. The Leeds-based shop asked us to compile a Leaf mixtape, which Tony Morley put together in October. We lovingly hand-packaged 50 individually numbered CDRs, now completely sold out. But with Jumbo's blessing, we've decided to make the mixtape available as a digital download at a bargain price. The digital download comes with a pdf digital booklet. 16. Icy Demons - Who There? 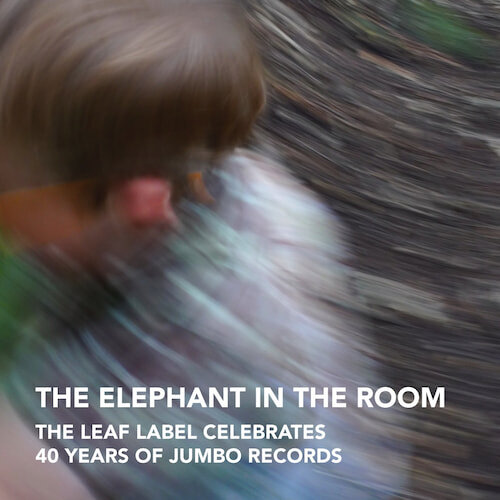 Unfortunately at this time we can't offer all the Various Artists - The Elephant in the Room: The Leaf Label Celebrates 40 Years of Jumbo Records tracks as individual wavs, as some of these tracks exceed the shops maximum (10mins) download length.